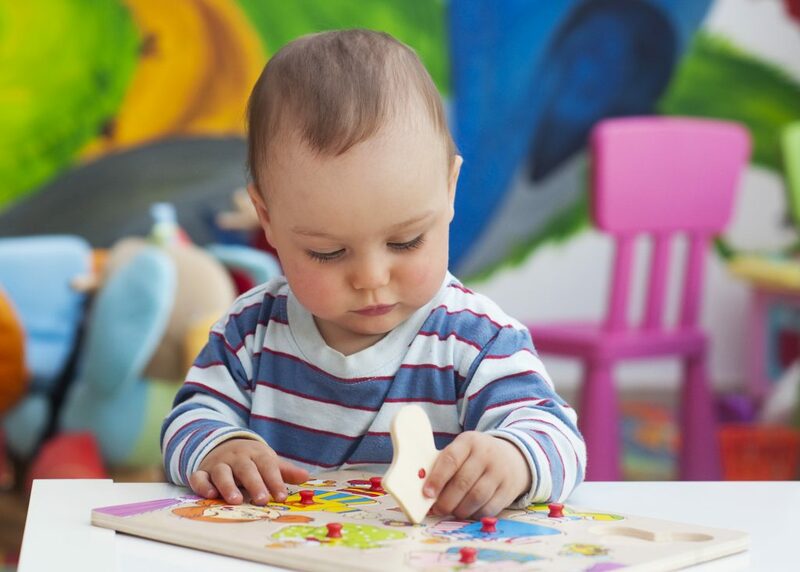 What is the Children’s Early Intervention Program? Our Early Intervention Program provides comprehensive services to children and families’ age’s birth through three, who are developmentally delayed and/or disabled in their homes and the community. 100% of children made progress while in the program over a two year period. Why choose us as your Early Intervention Provider? Our team approach is an essential element of our program that allows us to be partners with families while offering our expertise and knowledge in the field of early childhood and therapeutic specialties. Specialists: The agency provides families with an Early intervention Specialist who is an expert in the field of early childhood and development. They integrate all services into play and daily routines for the child and family. The early Intervention Specialist is the link between the various disciplines and people that are part of the Early Intervention Program. Therapy: Physical, Occupational and Speech therapy services are provided by pediatric therapists with many years of experience in serving children with developmental delays. Individual sessions in the home and community are provided with an emphasis on instructions for the family. Special Therapy Areas including: Orthopedic services such as making orthotics and splints, a comprehensive feeding program, psychological consultative services, and certified infant-massage therapists. Assistive Technology: The agency provides various equipment to help children maximize their developmental skills. Examples include adaptive toys, computer programs, walkers and communication devices. Medical Consultation: The program has a pediatric nurse who specializes in helping families go through the "Medical Maze". Our nurse communicates with physicians to assist families with various issues. Social Work: A resource center for services available to children with special needs. Referrals are coordinated to appropriate outside agencies. The Social Worker serves as a troubleshooter for the families. Day Care Consultation: Early Intervention team members work with community day care centers to educate and provide services to children with special needs. What is the on-line Parent list-serve? When a family has a child with special needs, there are often many questions to be answered. Many parents also are interested in learning about resources and meeting families who have children involved in our program who share similar lives. Our on-line group communicates virtually with one another and the agency’s social workers to share experiences and get information out! Please email CGleason@ccdisability.org if you are interested in the list-serve. Be determined to be in need of the particular service requested.